Today, we’re glad to share with you a ‪collection of 10 best free agriculture bootstrap templates for agriculture and business website. 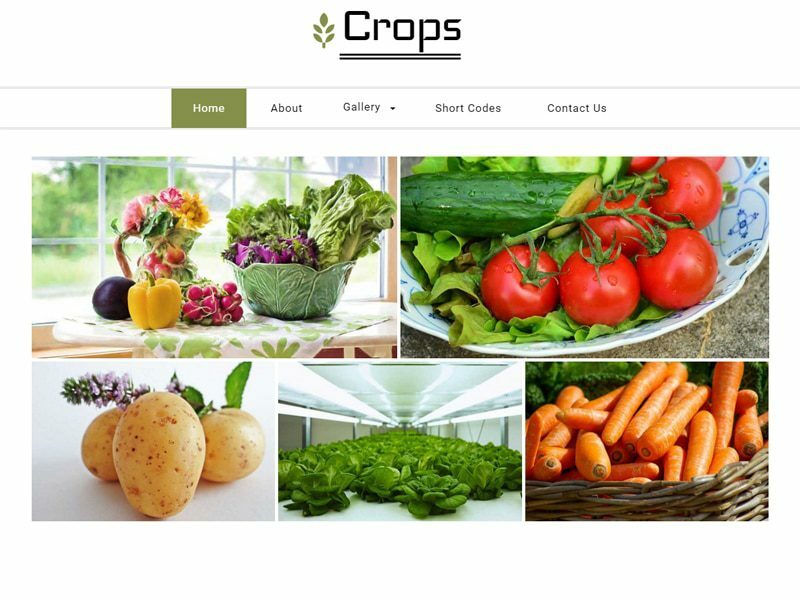 If you love agriculture and want to build a website to promote your products or projects, one of the following free agriculture bootstrap templates in may 2016 is a perfect choice for you. 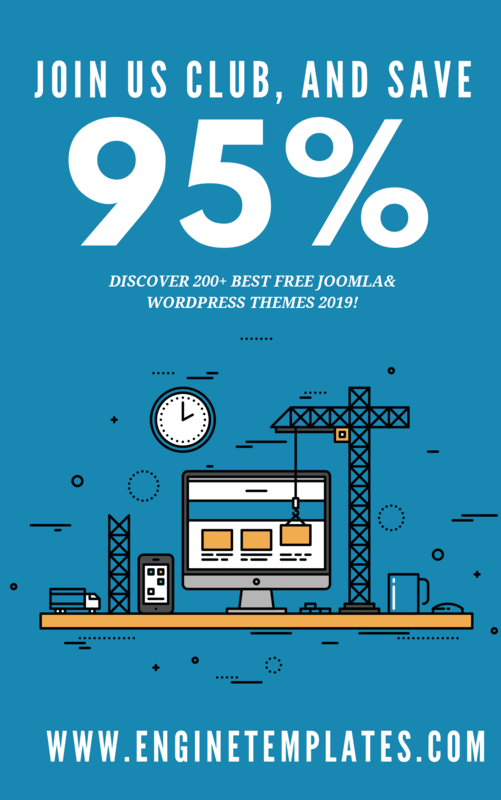 These templates will help you to create an eye-catching and modern website that won’t cost you a penny. Don’t miss! Want to demonstrate to the world your love for agriculture, agriculture is a perfect choice for you. 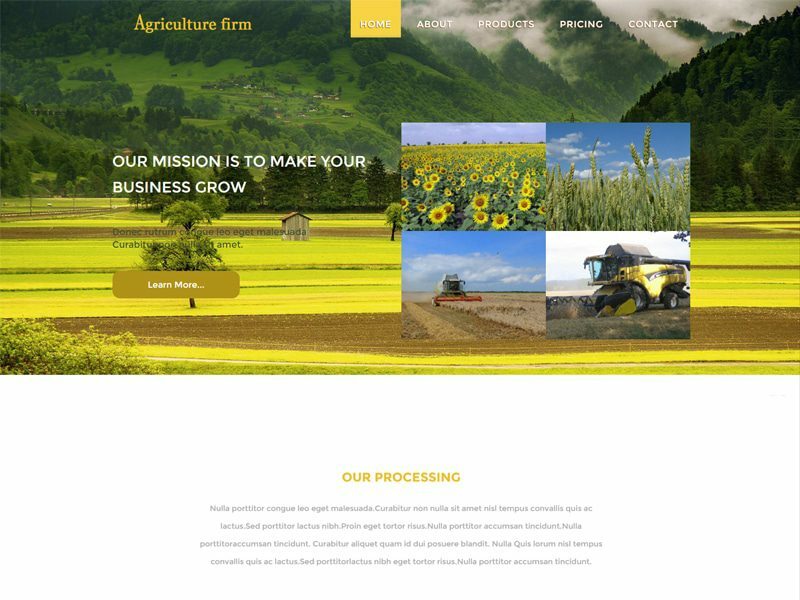 Agriculture Firm is a clean and great responsive bootstrap template for agriculture business and agriculture equipment business. It can be customized easily to suit your business needs. 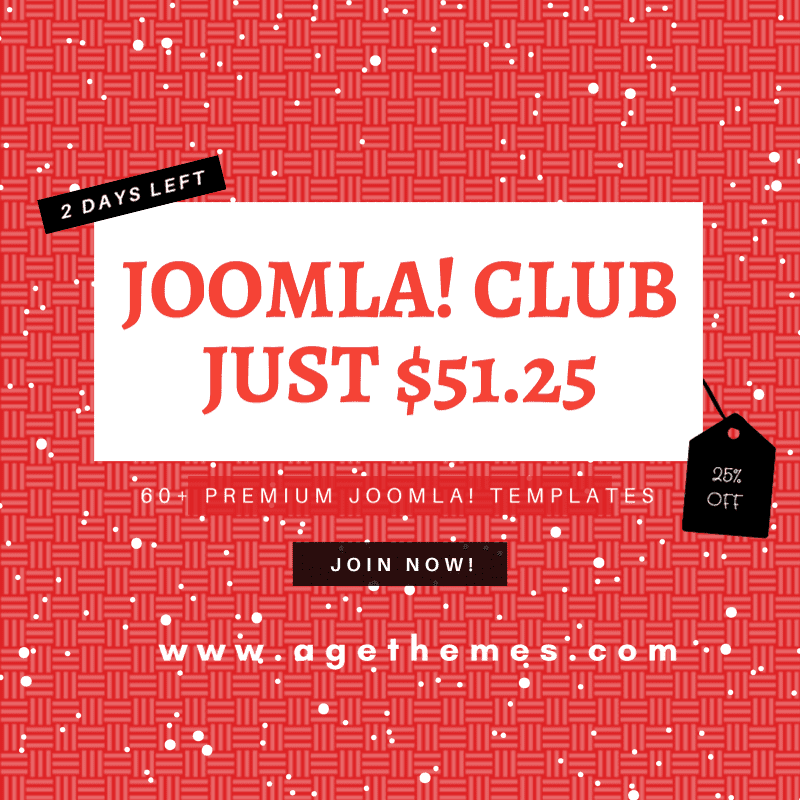 This template is compatible in Web, Smart phones and Tablets. 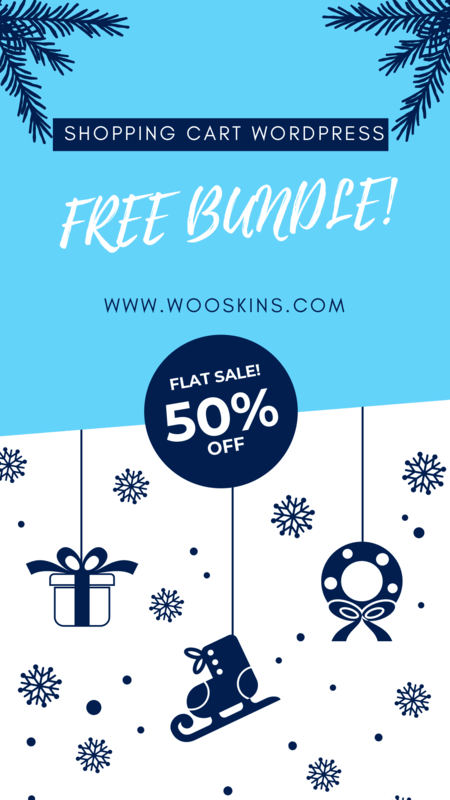 If you are a person who has passion about nature or agriculture, then this bundle is just the thing you’re looking for. 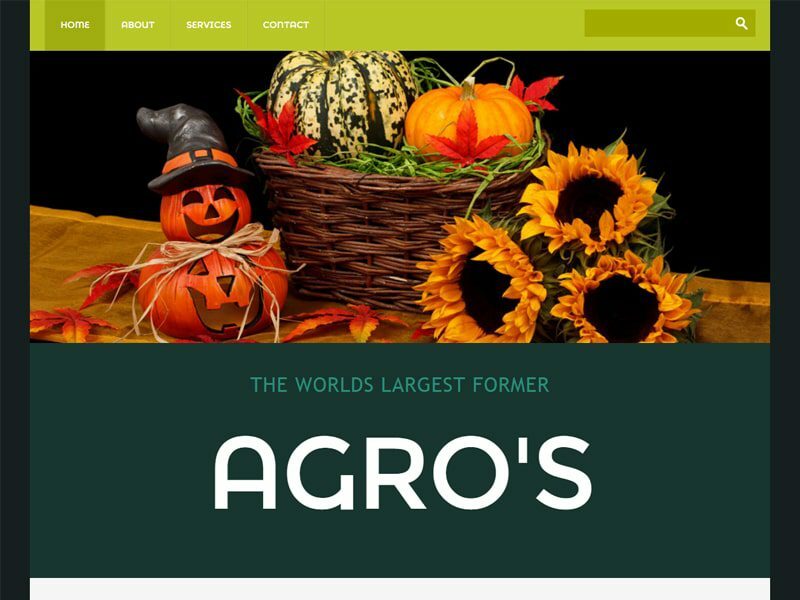 Agro is a clean and beautiful free responsive bootstrap template download for agro farms, agro product makers, agriculture related products, and agro vehicles. This template supports all browsers, as well as Mobile phones. 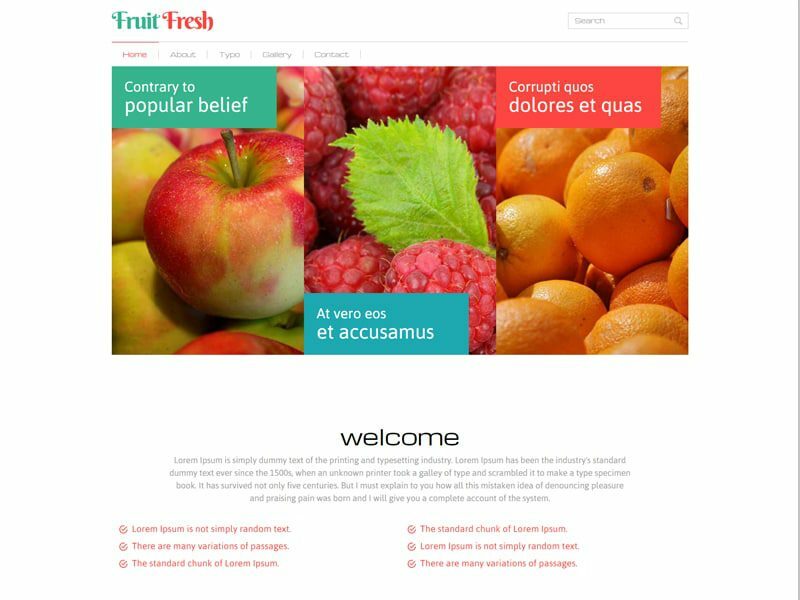 Fruit Fresh is a typical and modern free bootstrap template for agriculture business and agriculture equipment business. It can be customized easily to suit your business needs. This web template is built using HTML5 and CSS3 in a Fancy style however it can be used as per the user requirements. 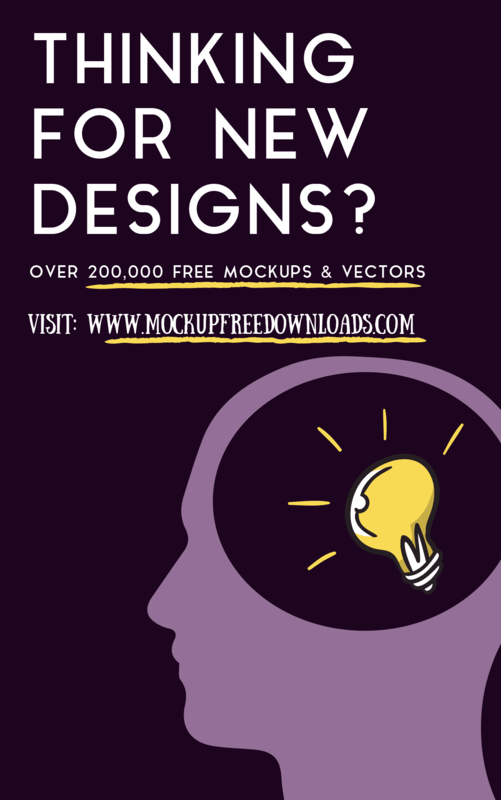 Have a great week with this modern & awesome template! 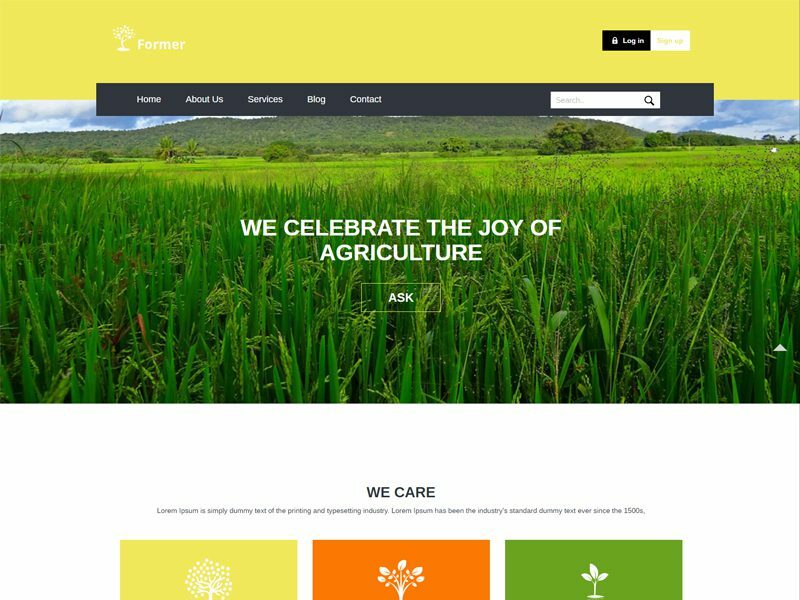 Former is an exciting and modern agriculture website template for agriculture equipment business. It can be customized easily to suit your wishes. You can use this template for any type of websites. The clean interface of Former will be attractive to any kind of audience. We’re sure that you will be pleased when you use it for your next project! 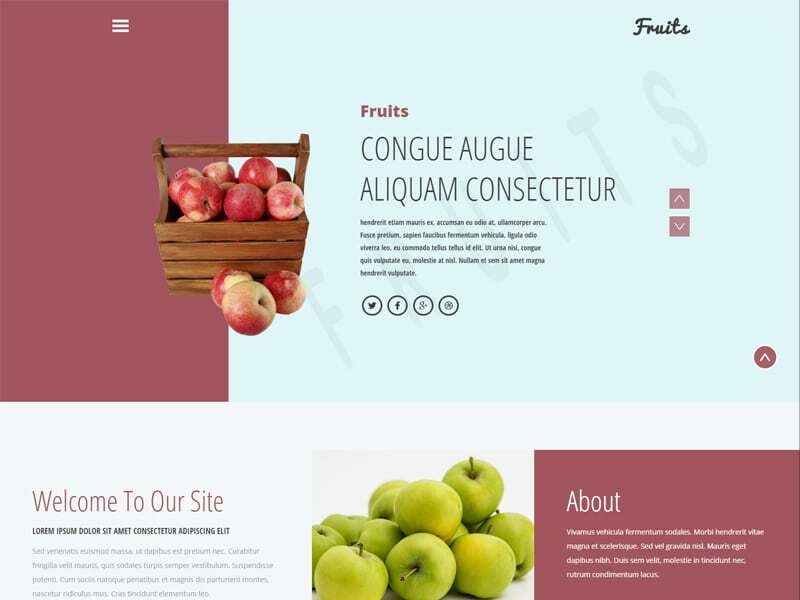 Fruits is responsive bootstrap template free download for agriculture, fruits and vegetables websites and shops. This template is suitable with all mobile and tablet. This template is the best solution for exotic shops, for agriculture portals or simply for any vegetables catalog. The style is unique and awesome with clean and professional design. Check out this free bootstrap template and give your site a exciting look. Don’t miss the chance to give your store an impressive look with Cultivation. 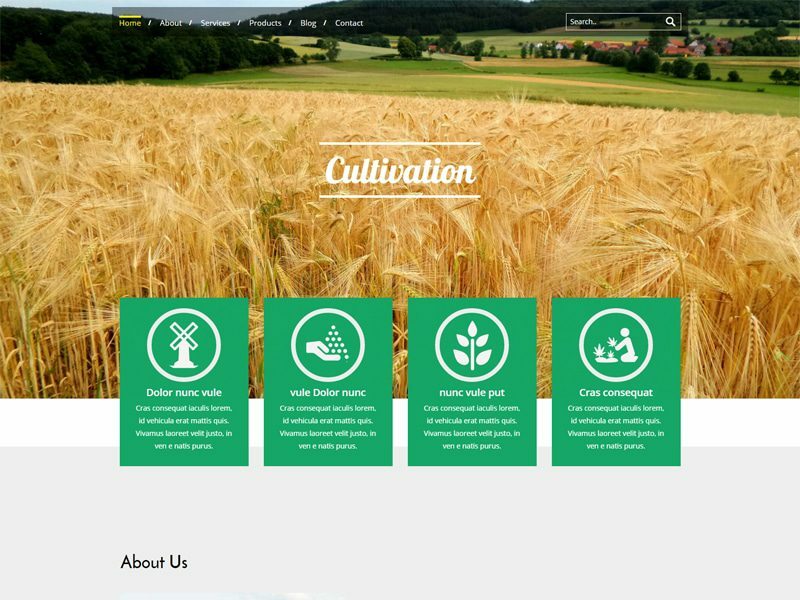 Cultivation is a beautiful and great free agriculture website templates. It can be customized easily to suit your business needs. This template is suitable with all Web, Smart phones and Tablets. 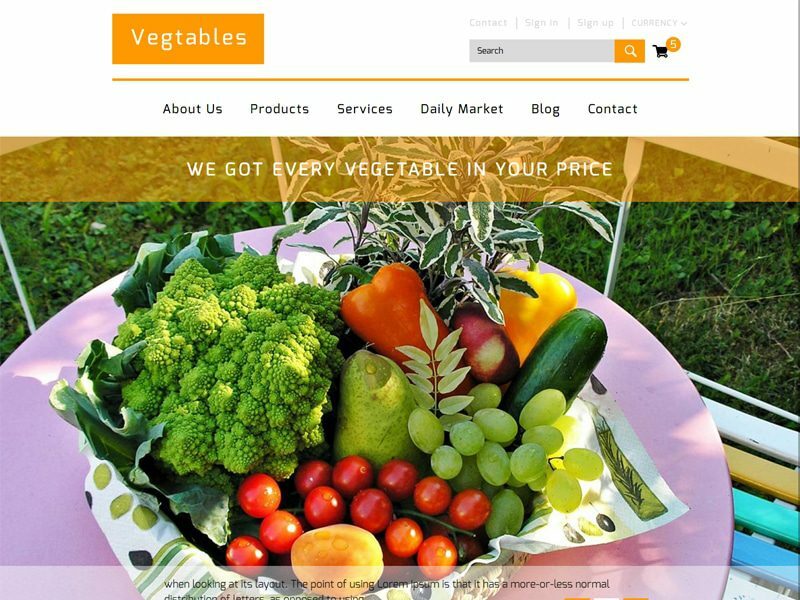 Vegtables is an exciting and modern free responsive bootstrap template. It can be customized easily to suit your business needs. This template is suitable with all web, smart phones and tablets. You can use this template for any type of websites. do you like agriculture? 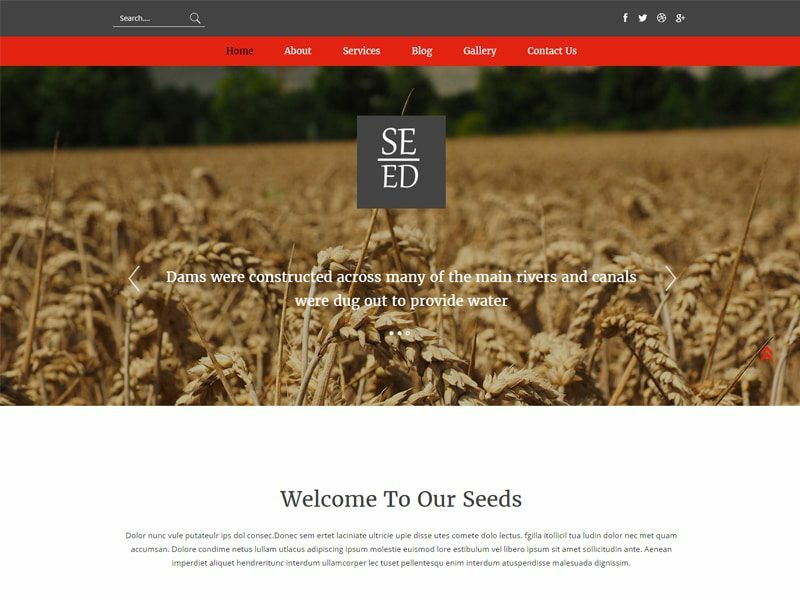 Seed is a clean and modern responsive bootstrap template for agriculture business and agriculture equipment business. This web template is built using HTML5 and CSS3 in a Fancy style however it can be used as per the user requirements. This elegant template is useful for new business websites. Crops is a clean and great free responsive bootstrap template. This template is suitable for agriculture business and agriculture equipment business. This template can be customized easily to suit your agriculture business needs like fruits agriculture, vegetables agriculture businesses. Check out this free bootstrap template and give your site a new look. 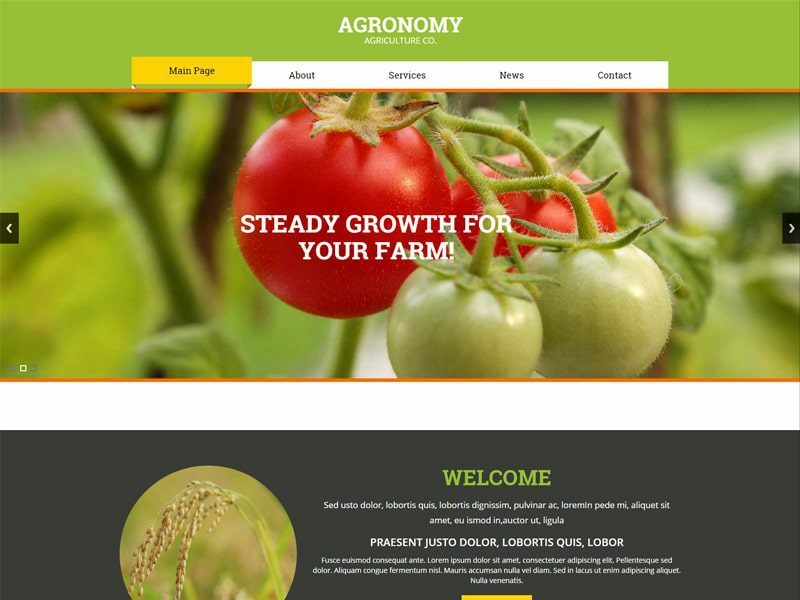 Agronomy is a great and clean free website templates download for agriculture business. It can be customized easily to suit your business needs. This web template is built using HTML5 and CSS3 in a Fancy style however it can be used as per the user requirements. It’s suitable with all web, smart phones and tablets. Agronomy free bootstrap template may satisfy your needs and can be ideal for that kind of business. 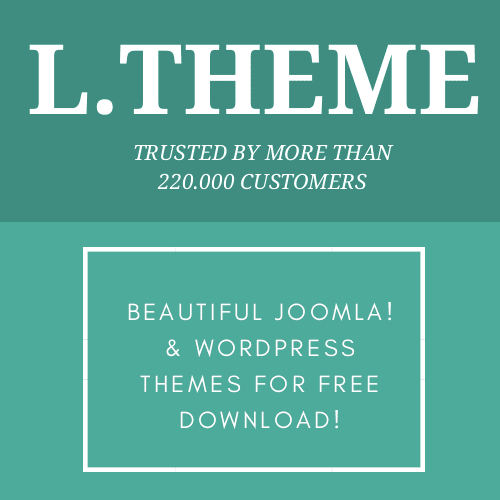 If you want to find a CMS theme for this topic, we highly recommend you to go try this LT Agriculture for Joomla provided by LTHEME. You’re using WordPress? It doesn’t matter, this is LT Agriculture WordPress version for you. Now it’s time to add a battery to the device.